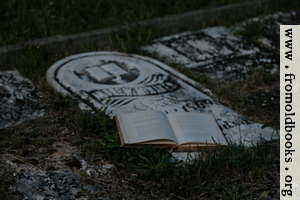 The gravestone includes a picture of a hand holding a book. 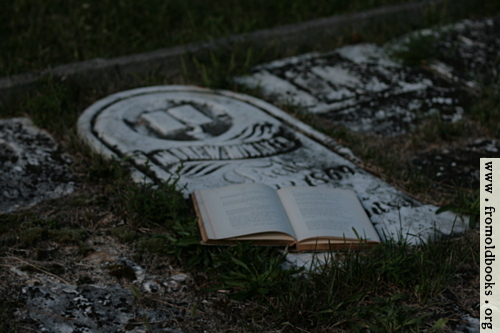 The grave is dated 1869 and commemorates Andrew Minaker. 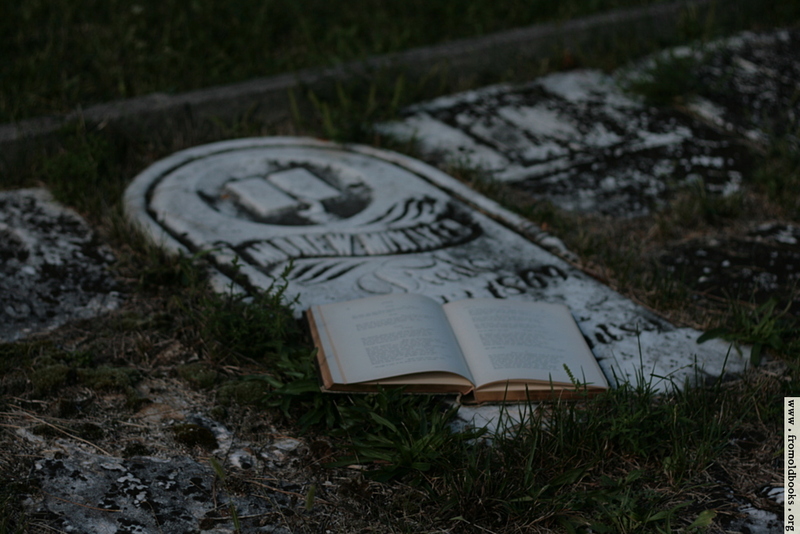 A Victorian poetry book lies open on the grave.